How’s your Instagram game? If you’re posting photos on your feed and racking up the likes, good for you. But if that’s all you’re doing, you’re missing out on the fun of Instagram Stories. You might have noticed them already, on top of some of your friends' feeds – so let’s get you up to speed, and show you how to create your very own slices of Instagram history. Instagram Stories has got to be the most eye-catching feature on Instagram. It lets you create a single story by posting multiple photos and videos onto it. The story appears just like a slideshow, and the content disappears after 24 hours. You’re basically free to come up with any story you want. You could create one of a big night out with friends, mixing up photos and videos, or you could share an evening spent trying to create a culinary classic in the kitchen. Even if you don’t get it right, it could still be worth posting – we all love a failed attempt at a Bake Off classic. Go into Instagram, and you’ll see some of your friends’ profile photos running along the top of your freed. That’s their Instagram Stories. Tap one, and you’ll be treated to a full-screen story of what they’ve posted in the last 24 hours. You can’t hit an Instagram Story with any hearts, as much as you love it. But there’s a ‘send message’ box at the bottom if you feel like commenting. Or hit the camera icon and snap a selfie as a reply. Okay. The time has come. You’ve had a look at your friends’ Instagram Stories and to be quite frank, you’re a little disappointed. You know you can do much better. Go to your profile pic on the top left of the screen and give the ‘+’ icon a tap. This opens up your story camera, and you’re now all set to take photos or record videos. It’s worth exploring all the features and options in the story camera, because they’re lots of fun. Our favourites are ‘Boomerang’, which creates three second GIFs, and ‘Rewind’, which films a video in reverse – it’s made for holiday shots of someone jumping into a swimming pool. And the fun doesn’t end there, because you can also add Snapchat-style face filters. Tap the face icon on the bottom right of the screen, and get scrolling until you find a filter you like. 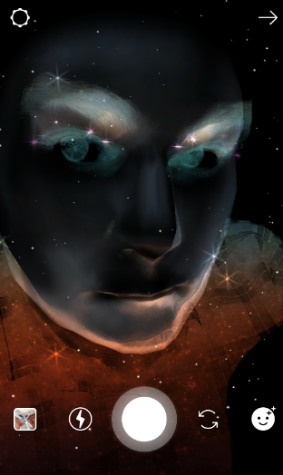 Big eyes and bunny ears is a well-known classic, but we prefer this far-out space filter. When you get the look you want, tap the ‘+’ icon with ‘Your Story’ underneath it. Your photo or video will be added to your Instagram Story for 24 hours. After that, it’s history. So make it memorable. What are the best phones for Instagram? If you want to create legendary Instagram Stories you’ll need a phone with an amazing camera. Here are three of the best. This is a phone that uses the best of Google’s AI to help you capture perfect shot, every time. The Top Shot feature is going to be a real hit with Instagram fans – when you press the camera shutter button, it actually shoots a series of photos and picks out the best one. So even if someone’s blinking or yawning just as you snap your photo, you’ll get the shot where everything’s perfect. Meanwhile round the front of the Pixel 3, the Group Selfie Cam feature uses the dual front camera to take fantastically wide-angled selfies. You’ll get more landscape and more mates into every story-worthy shot. 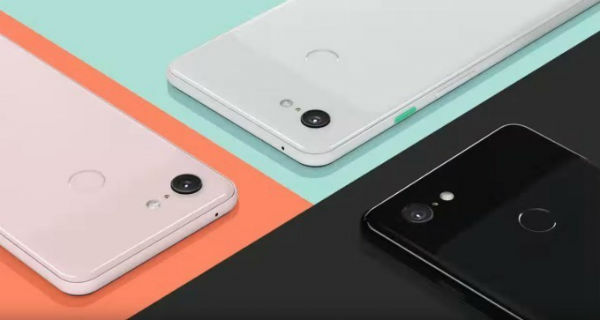 You can order the Google Pixel 3 here. What makes the Mate 20 Pro such a great phone for Instagrammers? It’s the AI triple lens camera. As soon as you point it at something – even before you press the shutter - it recognises exactly what you’re taking a picture of, and then adjusts its setting to give you the best possible shot. And yes, it can recognise cats – where would Instagram be without them? The triple lenses also work together to capture amazing looking ultra-macro shots – extreme close ups from less than an inch away. So if you want your Instagram Story to begin with a stunning little flower you noticed on the journey to work, this is the phone for you. You can order the Huawei Mate 20 Pro here. If you want to add some stunning video footage into your Instagram Stories mix, you could do a lot worse than the Xperia XZ3. It can shoot video in 4K, making everything look incredibly sharp and detailed. It’s especially good at capturing darker scenes – perfect if your story ends last thing at night. The Xperia XZ3 can also shoot super slo-mo footage, if you want to add a real touch of drama to everyday moments. That look on your mate’s face when the pizza arrives at the table? In super slo-mo, it’s absolutely epic. You can order the Sony Xperia XZ3 here. 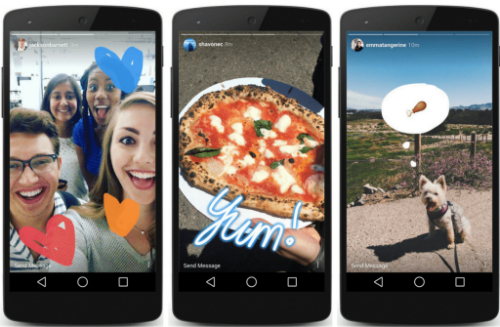 Are you an Instagram Stories master? Got any tip and tricks up your sleeve? If you wouldn’t mind sharing, go ahead and post a comment below.